Wrestling, not wrasslin, Wrestling. You know what Kurt Angle used to be known for. 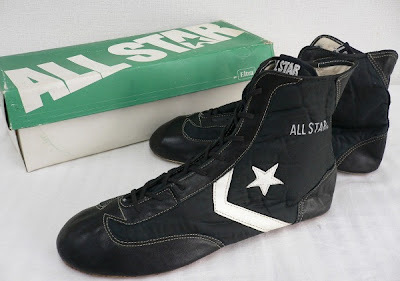 Converse used to make shoes for that sport too. Also a sport I left off of the poll on the top of the page. 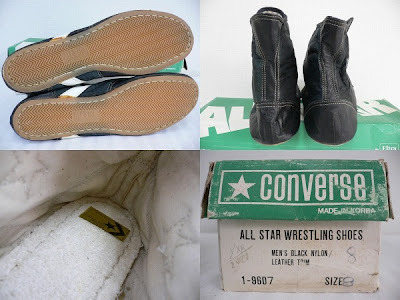 So to sort of make up for that, today's flashback is all about some old school wresting shoes..boots? Anyway, here they are. 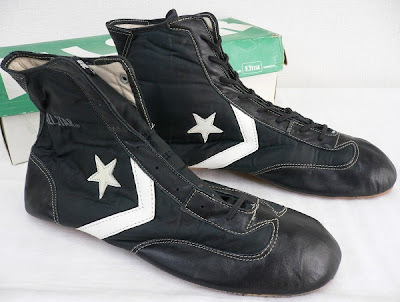 These wrestling shoes are from the eltra era, probably in the 70's. The black/white colorway is as classic as it comes. Also they have an outsole in a nice soft gum. Flashback Re-issued! As if seeing the original wasn't enough, now take a peak at the re-issued model coming out soon. These have be updated into a casual shoe with an actual midsole this time. Change the highth and the chevron ad a dash of green and there you go. I'd say a pretty good re-issue. 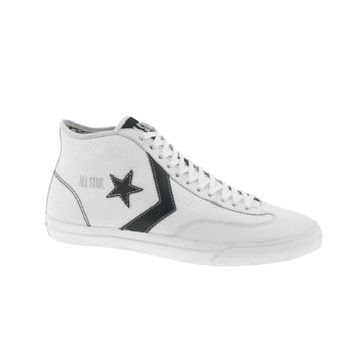 There is also a white/navy colorway below, it came from www.converse.be. I am strating to get backed up with all of the pics I've found recently, I might have to start posting more often. Stay tuned to see what happens. Thanks for checking out the blog and tell everyone you see, no really. The originals are so gross, aren't they? But I'm liking the charcoal/greens. I have a pair of the classic ones coloured pink. First off, love the website. Especially the Friday flashbacks. Keep up the good work! 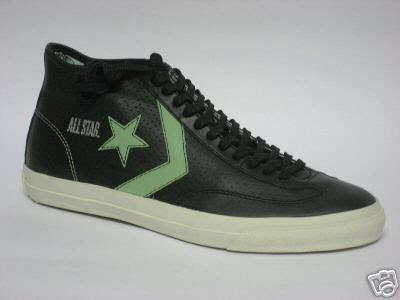 I also would like to mention there is a pair of these (In White) currently up for sale on ebay. I'm actually thinking about picking them up. I might be able to squeeze into them.